Canada’s largest yoga studio opened over the weekend in Winnipeg. 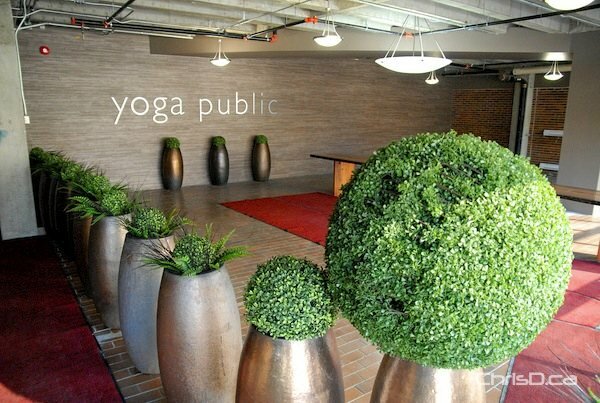 Yoga Public at 280 Fort Street includes four studios, the first TRX Centre in Canada, spacious lounge areas, change areas for men and women, and a menu of more than 100 classes per week in all forms of yoga. The studio is owned by Ida Albo and Rick Bel, owners of The Fort Garry Hotel, Spa and Conference Centre. The $2 million facility was previously the Carlton Club, and has been transformed to a spacious and tranquil 18,000-square-foot complex. Programs and class information is available at YogaPublic.com.